Sorry for the delay. We’d like customers in the USA to know that the trucks are rolling! For more info on the new line of StudioLive AI mixers, click here. Rick and Johnny explore the latest features of the new StudioLive 32.4.2AI, and also reveal the big #UnveilPreSonus secret: there are THREE boards in the StudioLive AI family! For more on the StudioLive AI series, click here. ACTIVE INTEGRATION HAS LANDED! 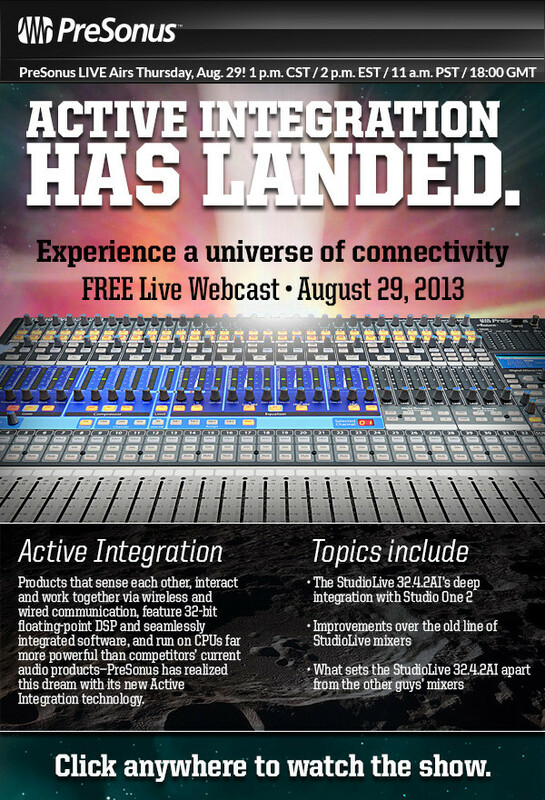 Click here to watch today’s show and learn all there is to know about the StudioLive 32.4.2AI. 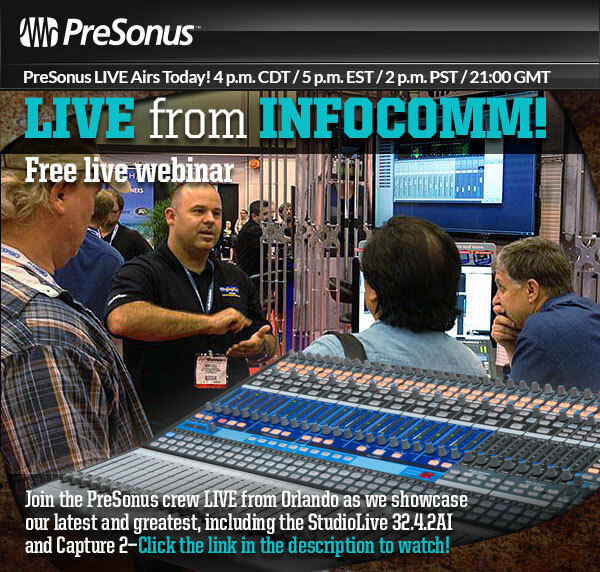 Here’s Rick Naqvi with the latest and greatest from PreSonus at InfoComm 2013! He shares some insights on our new StudioLive 32.4.2AI digital mixer and the StudioLive AI PA loudspeakers. Here it is: The official release video for the StudioLive 32.4.2AI! Thanks to Sam Ash for this!